I’m back with another card for Atlantic Hearts! After three terms I’ve decided not to reapply as a design team member for AHSC so today is my last posting for Atlantic Hearts. I am so grateful to Michelle for allowing me to be part of her team for the past 18 months! I’ve learned so much and had a lot of fun with her sketches! So before I get to my card I want to say a big thank you to Michelle & all the gals at AHSC!! For my card today I used a white card base with a white panel cut using a Simon Says Stamp Stitched Rectangular Die. I then used a Tim Holtz die and cut this teal, glittery piece of fun foam. This stuff is amazing! I found it by accident at Wal-Mart. It cuts in a Big Shot like a dream and the glitter doesn’t flake off! Did I mention it’s adhesive backed?!? 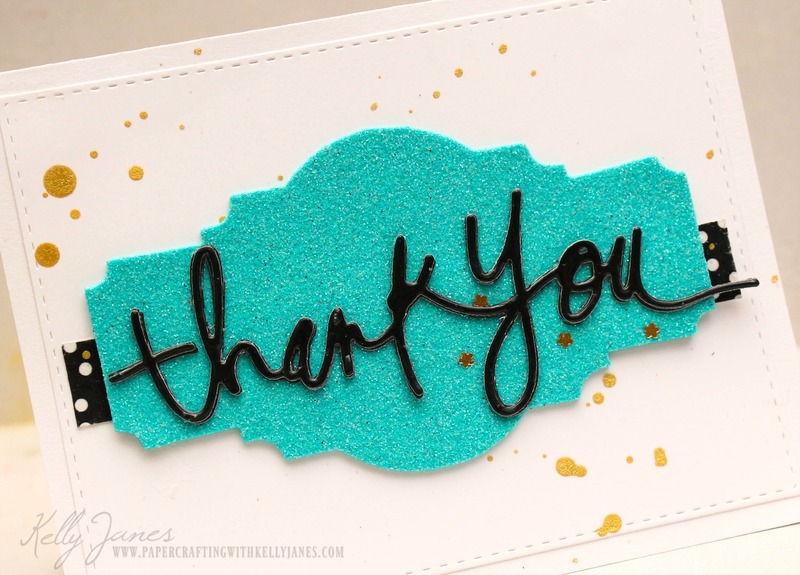 I also cut the “Thank You” sentiment from a Heidi Swapp die 3 times and layered them to create dimension. I also covered the sentiment with Liquid Glass to add a little more shimmer to the card. I added black & white polka dot washi and splatter of Gold Heidi Swapp Color Shine. This card came together quickly & I’m happy with the end result!! 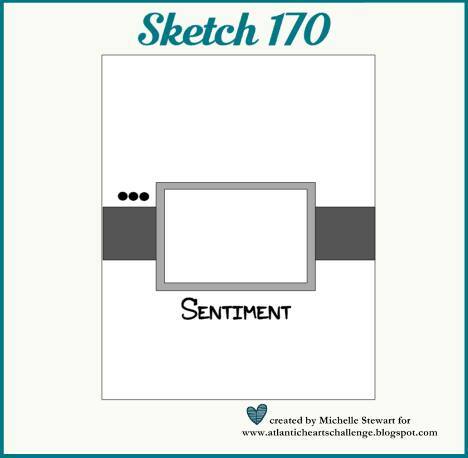 I’d love for you to head over to Atlantic Hearts to enter your papercrafting interpretation of sketch #170! Kelly it has been an honor having you as part of the Design Team for the past 3 terms. It really doesn’t even seem like it has been that long. Your artwork is always inspiring, great work. Thank you for being a part of our team, and I hope you will join us every now and again. Would also love to have you come back as a quest designer. Thank you so much, Michelle! 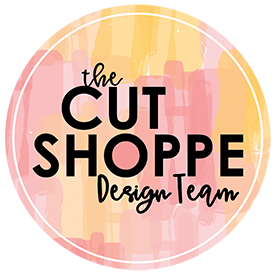 I would absolutely love to come back as a guest designer! Thank you again for everything! This is so gorgeous! It has been wonderful being on the AHSC team with you and I wish you all the best.